By Robert Jackson: After seeing Alfredo Angulo – following a 10 month respite from the ring, KO Raul Casarez Saturday night, it had me wondering how effective would Amir Khan be in his next fight. Both Angulo and Khan now train under Virgil Hunters watchful eye and if Angulo’s performance was any indication, Khan may have made the right choice and can be expected to perform excellently. After the fight ended, Hunter was the first one in the ring to offer support to his charge, there was a genuine closeness between the 2 men that could be seen as both men embraced each other. Hunter remained at Angulo’s side keeping the emotional Angulo calm as El Perro answered post fight questions posed by Showtime’s Jim Gray. What was as wonderful as the comraderie between Angulo and Hunter was the near flawless performance that Angulo put on that saw him quicker and stealthier in his boxing technique than in previous fights. Granted Casarez has a lot to learn as a fighter, he hadn’t lost in 5 years and is highly regarded as an up-and-coming middleweight. Angulo’s body also looked leaner than he’s looked before. It’s been reported that Khan sparred rounds with Angulo to get him ready for his return, if this is the case and it probably is, then what can also be said is that Angulo sparred Khan to get him ready for a battle against Carlo Molina that will take place a month from now. The usual talking that Khan likes to do prior to him fighting has been ramped down while preparing for his return next month. As a fight fan and a boxing writer I’ve always thought that Khan put the ‘horse before the cart’ when talking about the next fight, rather than talking about the current fight. For Khan’s career and future the only fight that matters now is the Carlos Molina fight. Not talking so much probably means that Khan is preparing and revamping his fight style and if this is the case Khan will do very well come December. Hunter has a track record with P4P fighter Andre Ward, he’s gotten Angulo successfully through his comeback fight, so don’t be surprised if Hunter’s training techniques and influence see Khan to a substantial victory on December 15, 2012. Previous boxing news: Has the time has come to create a new division – a superheavyweight division? 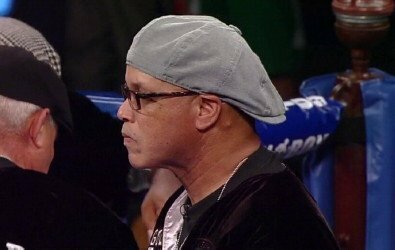 You are here: Home / Boxing News / Will Virgil Hunter make a difference for Amir Khan?